David received a “Santa Fe Selects” award at Art Santa Fe. Three of the 26 works selected were his. Art Santa Fe management called this “unprecedented”. 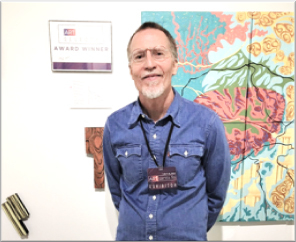 The University of New Mexico School of Law Not-for-Profit Gallery has selected David as one of its 18 Artists in Residence for 2019. The artists’ in residence 40 works are on public display in the Forum of the Law School at 1117 Stanford Ave NE, Albuquerque, NM and available for purchase through October 2019.